Gold has weakened sharply in recent days plunging below US$1,300 an ounce, creating an opportunity for investors. High levels of economic and geopolitical uncertainty coupled with the Fed adopting a dovish stance on normalizing interest rates means that it is only a matter of time before the yellow metal rallies once again. One of the best ways to access outsized returns when gold rises in value is by investing in junior gold miners with high-quality development-stage projects. A stock that stands out is Lumina Gold (TSXV:LUM), which is developing the Cangrejo project in southern Ecuador. Compared to gold, which has gained around 1% for the year to date, Lumina has lost 2%, creating an opportunity for investors. Cangrejo is a 6,374-hectare property located 40 km inland from Ecuador’s Puerto Bolivar. It has been rated among the top 15 gold projects under development globally and has inferred gold resources of 8.5 million ounces at an average grade of 0.65 grams of gold per tonne of ore (g/t). The ore body also has one billion pounds of inferred copper resources. The mine is expected to have a life of 16 years and produce on average 373,000 gold ounces annually over that period at an all-in sustaining cost of a low US$741 per gold equivalent ounce produced. Those projections underscore the profitability of the mine, particularly in an operating environment where gold is trading at around US$1,300 an ounce. 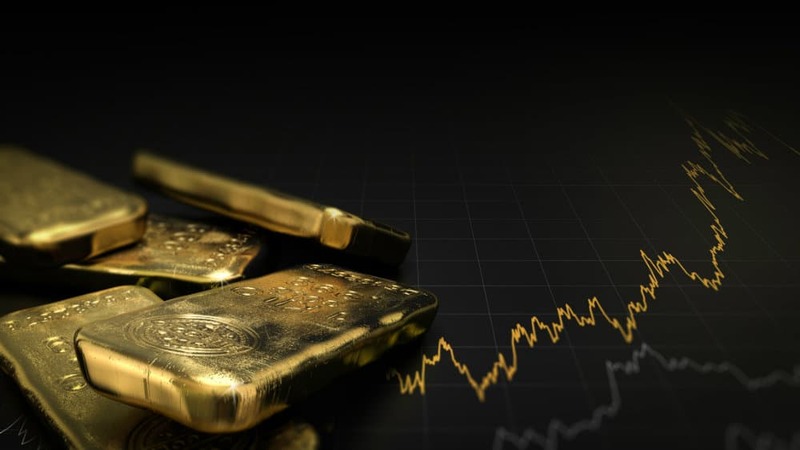 Using an assumed gold price of US$1,300 per ounce, the mine’s metals resources have been determined to have an after-tax value of US$1.3 billion, which equates to $5.62 per share, or around nine times Lumina’s current market value. This indicates the tremendous potential upside on offer to investors should the company successfully execute the development of the Cangrejo project and the mine on commencing commercial operations performs as forecast. Lumina continues to engage in an extensive drilling program at the mine, completing 12,800 metres of resources drilling and another 2,300 metres of geotechnical work. For 2019, it is targeting 23 holes and 7,000 metres of drilling to be completed. This, combined with the geology of the deposit, bodes well for Cangrejo’s mineral resources to expand and the quality of the ore to improve. There are, however, considerable hazards associated with mine development and no guarantee that the assessed gold resources will be economic to extract or that it the operation will perform as projected. This — along with the considerable degree of risk associated with operating in Ecuador — is weighing on Lumina’s market value. However, much of that geopolitical risk has ratcheted downward since 2015 when the Ecuadorean government started reforming the mining sector and reduced taxes to attract more foreign investment. This included eliminating a 70% windfall tax and reducing the net smelter royalty from between 5% to 8% to a range of 3-5%. Regulations were also simplified and made more transparent. That saw a surge in foreign direct investment in Ecuador’s mining industry, which saw foreign miners invest in constructing three major mines since 2015. It also saw senior gold and base metals miners, including Newcrest Mining and BHP Group, invest in a range of exploration- and development-stage miners in the Andean nation. Newmont Mining has been active in neighbouring Colombia and this bodes well for Lumina to receive interest from a senior miner in the Cangrejo project. This is particularly the case when it is considered that major miners are scrambling to boost investment in greenfield projects as they seek to ensure their future gold reserves and production. The risks associated with such a project are mitigated by Lumina’s solid balance sheet; it finished 2018 holding almost US$15 million in cash and no debt. The quality and scale of the Cangrejo’s asset coupled with its considerable exploration upside, firmer gold, and Lumina’s robust balance sheet makes the miner an attractive investment. The potential for investors to access outsized returns is illustrated by the fact that Lumina’s share price if a ninth of the net present value calculated for the Cangrejo project. That means the miner’s stock will soar once the mine is commissioned and commercial production is achieved in accordance with the estimations made in the initial Preliminary Economic Assessment.